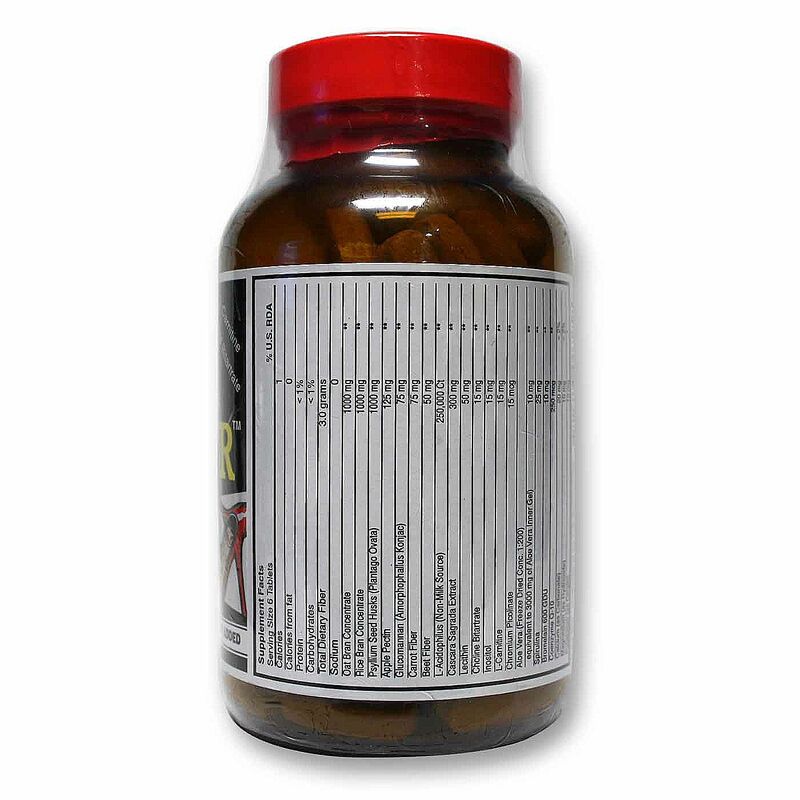 Proper functioning of the intestinal tract depends upon the presence of adequate dietary fiber. Only Natural's Fat Fighter provides a balance of crude and dietary fibers which include gums, pectins, hemicellulose and polysaccharides derived from grain, fruit and vegetable sources. The dietary fiber of soluble fiber such as oat bran, psyllium, glucomannan and pectin supports healthy metabilism of fats and may decrease cholesterol absorption. This natural bulk producing combination of fibers helps promote normal elimination in a natural manner. 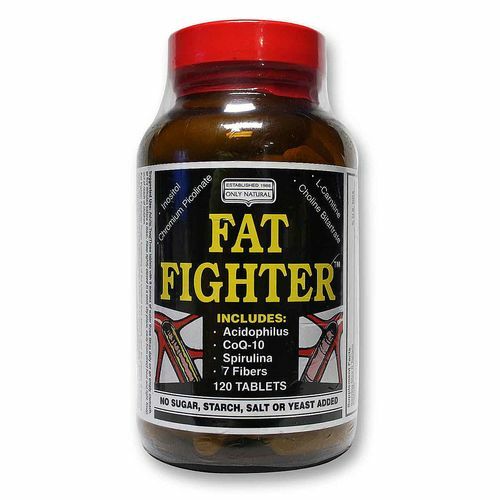 In addition, the Fat Fighter Formula has been combined with enzymes, minerals, and acidophilus - all necessary in helping maintain a health intestinal tract. 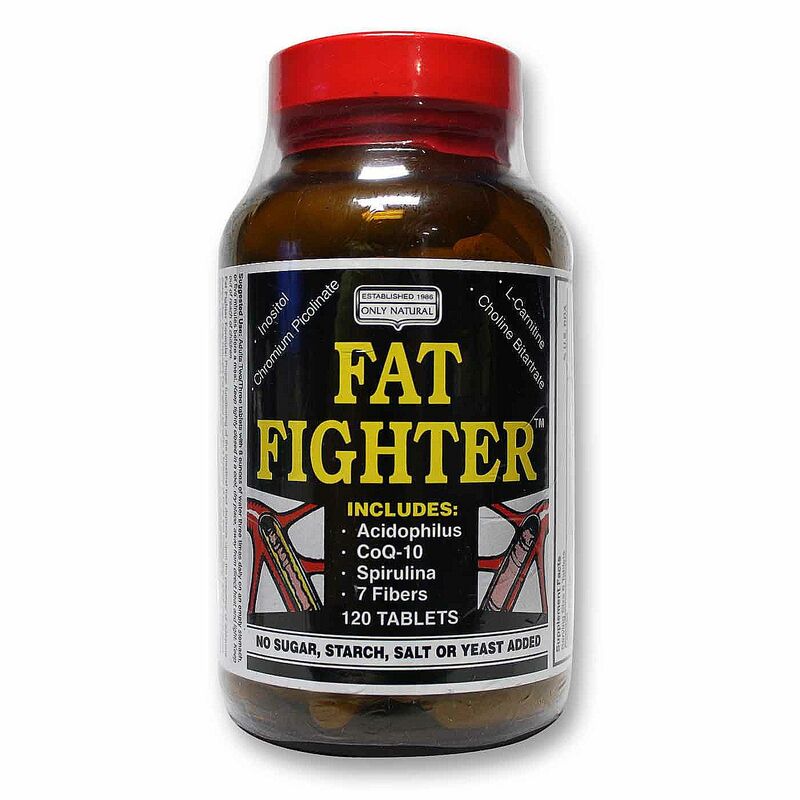 The Fat Fighter will help give a 'fiber-generated' full feeling, while increasing the nutritional value of your diet program by adding additional fiber to the diet. 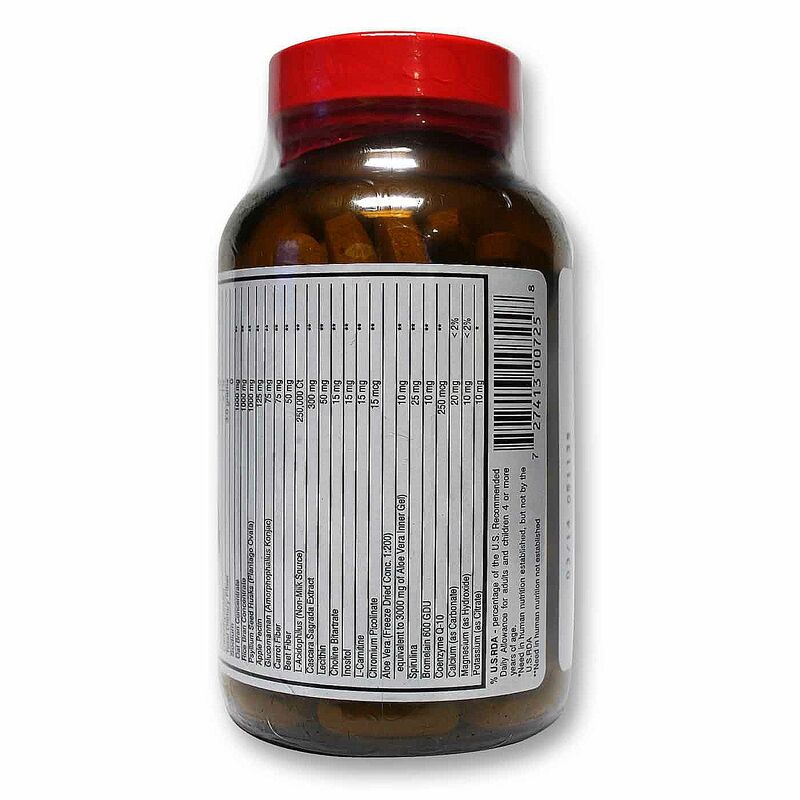 Recomendações de uso: Adults - Two /three tablets with 8 ounces of water three times daily on an empty stomach, or five minutes before a meal.